In collaboration with the Isaac Waldman Jewish Public Library, the Jewish Independent will be reprinting a series of book reviews by Robert Matas, formerly with the Globe and Mail. 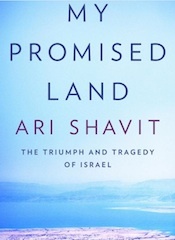 He has chosen My Promised Land: The Triumph and Tragedy of Israel (Speigel & Grau, New York) by Haaretz journalist Ari Shavit as the first in the series. My Promised Land has been listed as number one on the Economist’s best books of 2013, is a winner of a National Jewish Book Award and is included on the New York Times’ list of 100 notable books of 2013. Israel is an incredibly strong country. Its high-tech start-ups spur economic growth while most of the world is trying to sidestep a financial meltdown. Its democratic institutions remain vibrant, while its neighbors disintegrate. Its military, backed up by nuclear power, effectively has stopped any attack on the state over several decades despite virulent opposition to its existence. My Promised Land offers a fascinating window into the country at a crucial time in Israel’s history. Yet the fault lines in Israeli society steadily widen. Internal divisions that threaten the country spread out in all directions. The rumblings of unrest are becoming louder and more frequent, from the occupied territories, the Arab Israeli communities, the ultra-Orthodox enclaves and the non-Ashkenazi underclass. Ari Shavit, in My Promised Land: The Triumph and Tragedy of Israel, offers a fascinating window into the country at a crucial time in Israel’s history. Based on family diaries, private letters and interviews and discussions with hundreds of Jews and Arabs over a period of five years, Shavit, a leading Israeli journalist and television commentator, has written a book with the potential to change understanding of the seemingly intractable problems confronting Israel. This book is not for those who believe Israel requires the unquestioning support of Diaspora Jews. 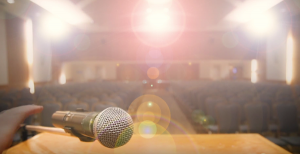 With brutal honesty, Shavit describes episodes in Israel’s history that many would like to remain untold, or at least to be discussed only in hushed whispers within the family. But his account of the life stories of numerous people including Aryeh Deri, Yossi Sarid and others who played pivotal roles in the development of the country is essential reading for anyone who is concerned about Israel. In a nutshell, Shavit concludes that Israel is vulnerable and will remain vulnerable as long as Israeli cities and farms exist where Palestinians once lived. He argues that ending the West Bank occupation will make Israel stronger and is the right thing to do, but evacuating the settlements will not bring peace. The crux of the matter is that all Palestinians who were expelled – not just those in the West Bank – want to return home and will settle for nothing less. He is pessimistic about the future. Israel can defend itself now, but he anticipates eventually the hand holding the sword must loosen its grip. Eventually, the sword will rust. Shavit explores 120 years of Zionism through vividly written profiles of numerous people beginning with his great-grandfather, Herbert Bentwich, who came to Jaffa on April 15, 1897, on a 12-day trek to explore the land as a home for the Jews. At that time, Palestine was part of the Ottoman Empire, populated mostly by Bedouin nomads and Palestinians serfs with no property rights, no self-rule or national identity. Israel was settled and continues to be populated by people who do not see others who are right in front of them. The early Zionists bought land, often from absentee landlords, and ignored those who had worked the land for generations. Herzl’s Zionism rejected the use of force. But as the number of Jews escaping European antisemitism, a new breed of Jew arrived. Tracing the development of the state, he identifies in painful detail the Palestinian villages that were wiped out and replaced with Jewish settlements. Transferring the Arab population became part of mainstream Zionism thinking during the riots of 1937, as Zionists confronted a rival national movement. David Ben-Gurion at that time endorsed the compulsory transfer of population to clear vast territories. “I do not see anything immoral in it,” Ben-Gurion said. By the time of the War of Independence in 1947/48, Palestinians who did not leave voluntarily were, as a matter of routine, forcibly expelled from their homes and the buildings demolished. In the new state’s first decade, Israel was on steroids, absorbing nearly one million new immigrants, creating 250,000 new jobs and building 400 new Israeli villages, 20 new cities and 200,000 new apartments. The new Israelis had little time for Palestinians, the Jewish Diaspora or even survivors of the Holocaust. As it marched toward the future, Israel tried to erase the past. The miracle was based on denial, Shavit writes. Yet the denial was essential. Without it, the success of Zionism would have been impossible. Similar to his great-grandfather, if Israel had acknowledged what had happened, it would not have survived, he writes. He recounts how the settlements in the West Bank have changed the course of Zionism. They began as a response to a fear of annihilation but evolved into an aggressive movement to dislocate Palestinians and prevent peace agreements. Shavit is convinced the settlements will eventually lead to another war. The settlements are an untenable demographic, political, moral and judicial reality that harms the entire country, he writes. He believes occupation must cease for Israel’s sake, even if peace with Palestinians cannot be reached. With similar intensity, Shavit offers insight into the Masada myth of martyrdom and reports on how Israel developed nuclear power. He maintains that nuclear deterrence has given Israel decades of peace. He exposes the cracks in Israeli society with thought-provoking portraits of prominent figures from the ultra-Orthodox and Sephardi communities.